A photo of the DGA Booth Space at the 2018 Illinois Association for Health, Physical Education, Recreation and Dance conference in St. Charles, Illinois. 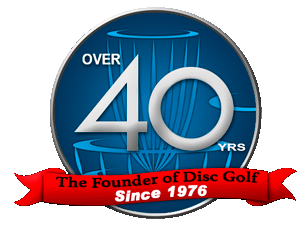 No course collecting the past couple of days, as I have been busy singing the praises of Disc Golf Association at the 2018 annual conference of the Illinois Association for Health, Physical Education, Recreation and Dance. 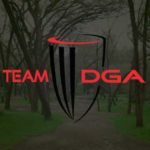 It has been such an honor being able to spend two days promoting not only DGA to hundreds of event attendees, but also introducing several people to the sport of disc golf for the very first time. I think those of us in the sport forget sometimes that there are still millions of individuals around the United States alone who have no idea what those strange-looking metal objects with chains are in their city/county parks! 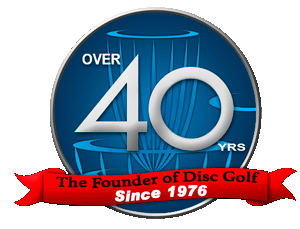 So being able to talk about the basics of playing the sport, teaching individuals about the different types of discs and grips, teaching people the X-Step? Is a lot of fun. A photo of me, Derek Tonn, having a little fun at DGA’s booth space at the 2018 IAHPERD conference in St. Charles, Illinois. It was an interesting conference, seeing all of the products that are being promoted to Physical Education teachers at K-12 schools throughout the region. It was also a lot of fun seeing a number of those products being demonstrated in two large “gym floor” areas. Floor hockey, rollerskating, a game similar to volleyball played with something similar to a tennis racquet, etc. And then there was me, “banging chains” while making literally hundreds of 15-20 foot putts over the two-day event. Using the noise and motion to draw people over to our booth to learn a bit more about the sport and DGA’s products. I really enjoyed getting to know a number of the other vendors as well! Camps, universities, even the Chicago Bears, in addition to all of the companies promoting their specific products and services. And other than one other exhibitor who was selling 7-8 Quest discs with their company’s name on them? We were the only disc golf presence at the event. Of course, not everyone in attendance was interested in disc golf! But for the folks that were, I was able to make several positive connections. 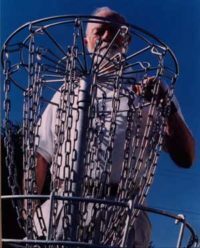 Tell folks all-about Steady Ed, and his mantra of “the player that has the most fun wins” while we’re teaching kids and adults a sport that they can enjoy for a lifetime. For a fraction of the cost of golf or other sports.